I don't believe there is an actual centrally held roll for the C&B issue 1911 Coronation Medals. The naming of the medals appears to have been handled by the Met Police and they were invoiced for the naming of their own medals, the City of London Police, the London Fire Brigade and some other groups. 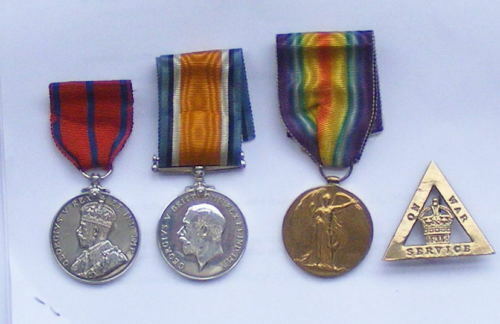 However this did not include the County and Borough Issues which were sent out to the various forces unnamed, probably because there were such a lot of different forces around at that time and the medals were merely allocated to them on a quota basis (they got more medals if they actually sent officers to take part in the coronation celebrations). 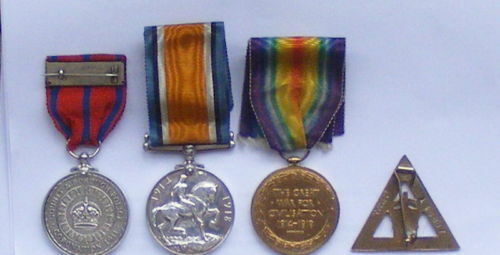 Those C&B medals found named must have either been done by the individual forces before they issued them or alternatively the recipient had his medal privately named. The naming of each medal cost 5d in real money (equates to 48 medals for £1 for those born after 1970s) and was done through a Mr Gillett who took over a year to name up all the medals issued officially named. That is why the style of Fire Brigade, SJAB, City of London and Met medals all look identical. That was a good find on e-Bay. Sorry I hadn't realised that the C&B Roll actually existed and was at Kew. I do have a typed list of the Royal Parks Medals which presumably someone has copied years ago from HO 45/19196. It would be relatively easy for me to start a new thread and post that on here as it is quite short. Will see if I can do that this weekend. I'm still fairly sure that the C&B medals were not centrally named though, it would interesting to see the naming style on the one you have just purchased if that is possible. A check of the 1911 Census should confirm whether anyone of that name was serving in the Police. hi all, does any one has a copy of the 1911 police coronation medal roll for the county and borough police forces. Pike, I was just about to ask the same question myself. Is this roll by name or force? Did you ever get round to going to Kew? I'd be interesting in knowing how many medals were awarded to Denbighshire Constabulary. 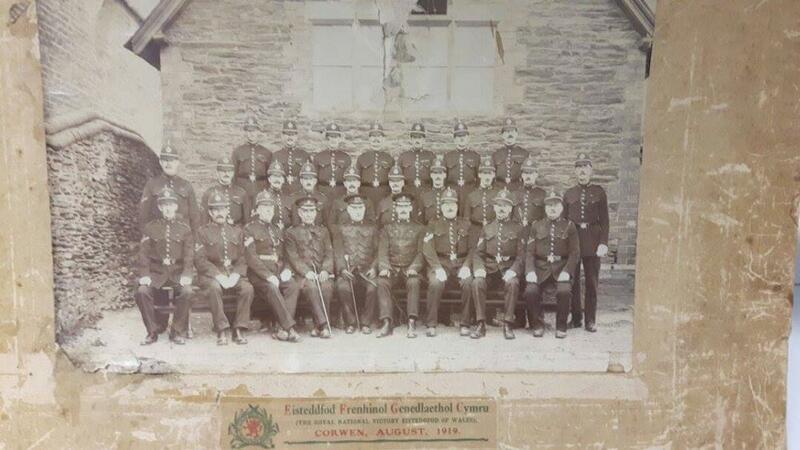 There's an old photo in Corwen Station dated 1919 and most of the bobbies on there appear to have the 1911 medal, think there must be about 20 or so of them, there all named as well, but there all Jones, Evans, etc as you can imagine, but a couple of them you can just make out their collar numbers. I'll see if I can get a copy of it and post it on the site. It is worth bearing in mind that in 1911 Corwen was NOT in Denbighshire but in Merionethshire. So, I think your enquiry should perhaps relate to the former Merionethshire Constabulary. Local government re-organisation later placed Corwen in Denbighshire. I hope this is helpful. I've got the whole roll photographed on my computer. Post for lookups if required. Here is a copy of the photograph of the Officers from Corwen, North Wales in 1919. You can just make out that most of them have the 1911 Coronation medal, several of the men on the back row appear to have 3 and 4 medals, which I assume are WW1 or Boer War medals? I have an original framed identical photo. Interestingly, the Chief Constable (centre front row) is Richard Jones. Mr. Jones was appointed Chief Constable of Merionethshire on the 8th May 1911 and served as Chief until the force was amalgamated on 30th September 1950. An amazing length of continuous service for a Chief Constable. Dave, that is certainly very interesting. I will attempt to ascertain the names of all the Officers, which is on the back on the one in the nick, if you'd be interested? As I've mentioned above there all called Jones and the like so researching them would be like a needle in a hay stake I imagine!!! I would be interested to learn whether their medals were named? Having the names would be great! In theory the medals should still be floating around the North Wales area. That said, the odds on them being named are slim. The front and back of my photo are shown below. I think the frame is original and untouched since the framing was done in 1911. I wonder if the names are on mine (on the back of the card mount)? I don't intend opening it to find out! There is a consensus that perhaps all the Bobbies in this picture weren't all stationed at Corwen, but had been drafted in just for the Eisteddfod. I'm not sure myself, they all seem to have C on their collars, which I assume is for Corwen? If you break them down into rotas (excluding the senior officers), 7 on a rota perhaps 3 rotas, seems to be 3 Sgt's in their and a couple of Lance Jack's. Not entirely sure what they are, senior Bobbies I assume? I have looked at two old Police & Constabulary Almanacs, for 1902 and 1936. The strength of the force in both years is 35 men (all ranks). I've had a close look at the photo and there are 26 gents on it. I think what you have on that photo is the entire Merioneth Constabulary minus those covering the rest of the county, leave, sick etc. The Sergeants and Constables all have "MC" on their collars together with their force number. For most of its existence the force had three divisions, Dolgelley (16 men, 10 stations), Festiniog (12 men, 8 stations) and Bala (7 men, 5 stations). Each division was commanded by an Inspector. Force HQ was at Dolgelley. Corwen was a Sergeant's station and was situated in Bala division. The men would have all been required to live at their stations, most being a one man posting with 24 hour responsibility. Young single men probably lodged with a Sergeant or a Senior Constable. There would not have been a three shift system as we know it today. As an aside, Bala division had two magistrates courts which sat at Bala (2nd and last Saturday of each month) and Corwen (the last Friday of each month). Prosecutions were conducted by the divisional Inspector. 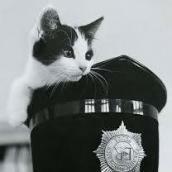 An interesting insight into a long lost era of rural policing. 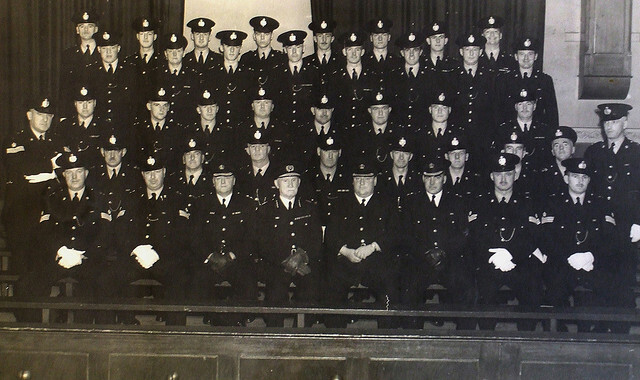 This is the final force photograph of the entire Merionethshire Constabulary taken on the 30th September 1950. At midnight the force ceased to exist. Chief Constable Richard Jones retired at the same time. As an aside, they ceased to wear helmets at the end of the 2nd WW. Fourth from the right on the back row is Constable Arthur Rowlands who years later was to be awarded the George Medal following his being shot in the face (and blinded) by a suspected burglar, Robert Boynton. Thanks Dave, that's really interesting & sad at the same time. Especially with regards to PC Rowlands. I'd be interested to know more about the incident, where did it occur. With the subsequent amalgamations does this mean that NWP can claim his George Medal? I seem to recall seeing a KPM (gallantry) in a display case in Wrexham station years ago. Not sure whose it was or what the circumstances of it where either? http://www.independent.co.uk/news/obituaries/arthur-rowlands-policeman-who-was-awarded-the-george-medal-8468693.html This newspaper report suggests that "He and the three colleagues who arrested his assailant were awarded the George Medal." Are the other two Officers known? Here's a photograph of the names on the rear of this picture. 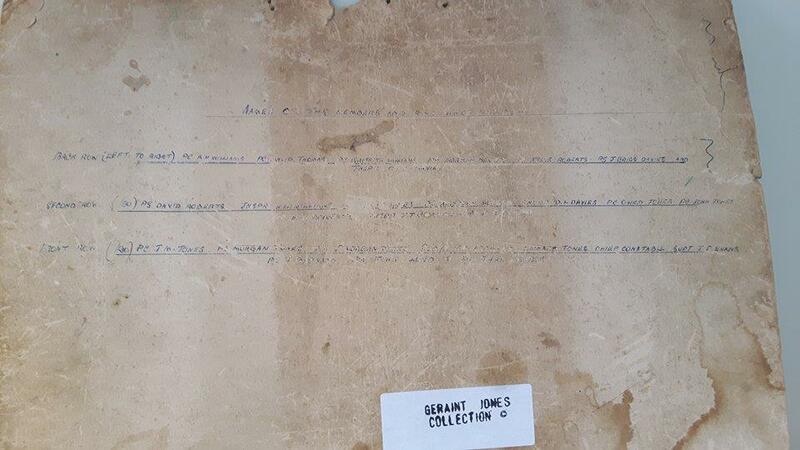 You can just make out a few of the names, some of them are really difficult to make out when your looking at it directly. But I'll try and copy them out, from the original when I get a minute.